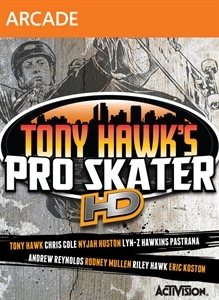 Tony Hawk's Pro Skater 3 HD RevertDec 4, 2012Tony Hawk's Pro Skater 3 HD Revert Pack expands on the game's winning formula with the inclusion of three levels from the original Tony Hawk's Pro Skater 3 (Airport, Los Angeles, and Canada). Skateboarding legends Steve Caballero and Geoff Rowley mak..
Tony Hawk: ShredOct 26, 2010Tony Hawk and Robomodo are reuniting on a second game to use the Tony Hawk: Ride skateboard. ..